Learn more about viruses and their effect on human health. A virus is a small infectious particle which can only replicate inside the cells of a living organism. Most viruses are harmless to humans, some are infectious and make us ill for a short period of time such as the flu virus, but some are highly infectious and can be deadly such as the Ebola virus. The study of viruses is called virology and is a very important scientific discipline. In this virology course you will be introduced to the fundamentals of virology. You will learn the basics of what a virus is and how it attaches to and replicates within cells. You will study the infectious cycle of a virus and how it uses the DNA replication processes within a cell to multiply rapidly. 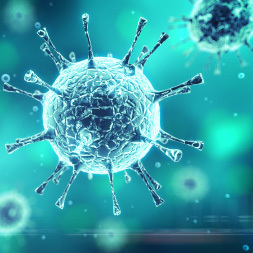 This virology course will be of interest to all healthcare professionals who would like to learn more about viruses and how they affect human health, and to any lay person wishing to dispel the myths surrounding viruses. Learning outcomes: - Understanding the real truth with Viruses, how they exist and survive; - Examine the structure of commonly found viruses and how they replicate; - Learn all about how viruses live around us every day and what viruses cause illness in humans.